This soup is super easy to make and full of flavor. It can be made using a rotisserie deli chicken to make it super quick and easy! I really love avocado and adding this to this soup really takes it over the top. I hope you enjoy this simple and delicious soup as much as I do! 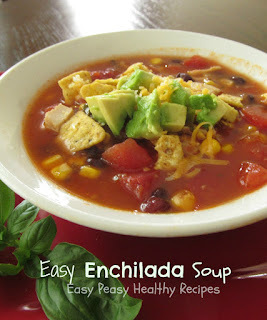 Ladle soup into bowls and sprinkle cheese and top with diced avocado.